Portsmouth is a vibrant waterfront city is home to some of the best open mic nights in Hampshire. From the historic Groundling Theatre to trendy burger bar Jags at 119, there’s plenty of live music venues on offer for singers and musicians to perform at. Open mic nights in Portsmouth and Southsea are most commonly found on Sunday’s through to Thursdays. Working on a new tune and looking for a venue to showcase it? Head down to one of the Open Mics in Portsmouth and Southsea, in no particular order. Apsley House is a welcoming, traditional pub slightly tucked away down a small side street in Southsea. Jay Groovara hosts their Southsea Open Mic night, which caters for solo artists, songwriters and full bands (stand-up comedy and spoken word poetry also welcome). There’s a friendly, easy-going atmosphere and this is a great place to showcase your original material or covers you want to develop. They have a stage, PA, amps and drum kit available for use, with acts asked to bring any other instruments. If you contact them in advance, they can book you a 25-minute slot. Randoms get two or three songs in, depending on how busy it gets. Performers also get a bite to eat. A home away from home style pub, the Kings just is a stone’s throw from Albert Roads iconic Kings Theatre. This is a very friendly and welcoming Open Mic hosted by local musician Sonny Jim. Generous 30 min Performance slots per person/group. Bands are asked to book in advance. All varieties are welcome. They supply the stage, you supply the talent! 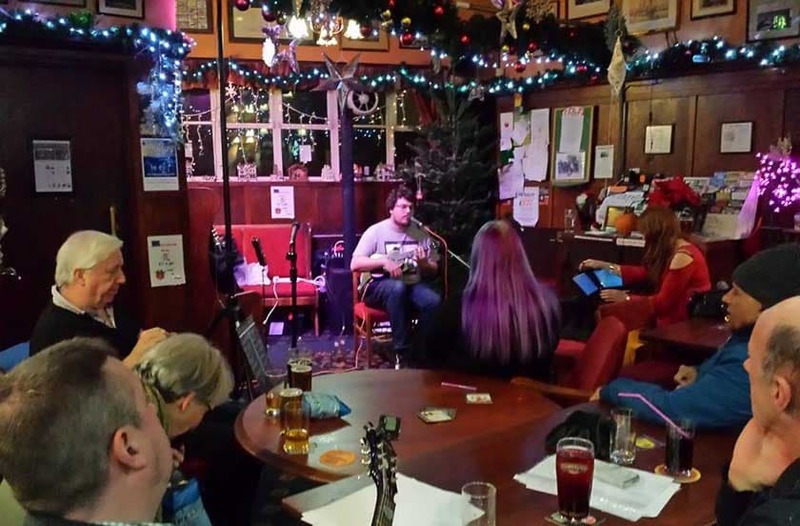 Alleycats Open Mic Nights have been running for over 20 years now and have attracted a dedicated following at several venues in Portsmouth. Have a look on their Facebook Page to find one near you. 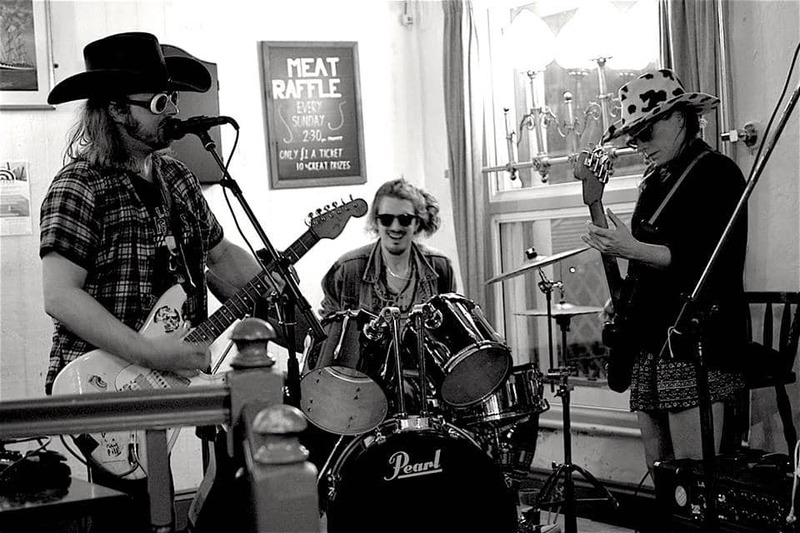 A cosy local pub in Southsea, The Barley Mow plays host on a Sunday to a busy and fun night of local music. They don’t pre-book slots, so just turn up early on the night. They may shuffle the playing order, but who play is based on arrival time. They allow three songs per act (occasionally more, never less) as most people need the first song just to get into the swing of things. There’s usually a good number of great musicians willing to support nervous players, so this is ideal for first-timers. If you love music and want to play to a supportive and appreciative audience, then these nights are for you. 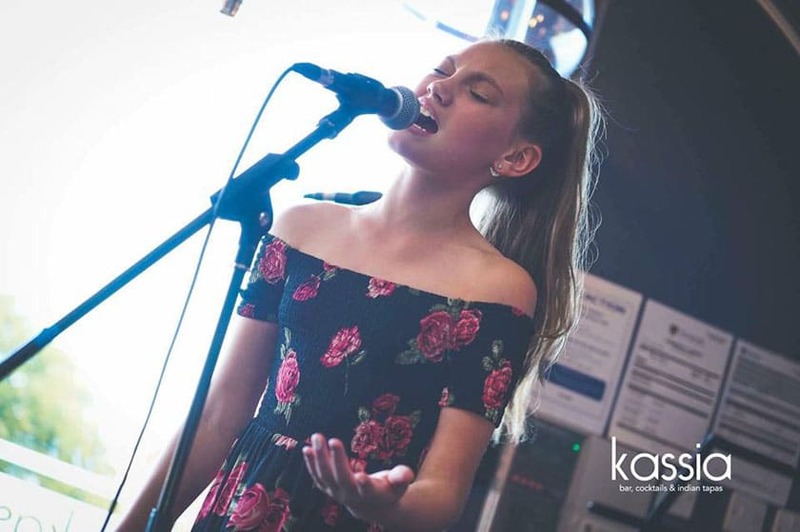 Their flagship venue, Kassia in Drayton is a lively bar and restaurant with an extensive cocktail list, modern India tapas on offer and a relatively new Open Mic Night that’s very popular with the local crowd called Sound Sunday. Hosted by the lovely Amba Goodwin Tremain, there are backline and mics provided, with a keyboard and acoustic guitar that can be provided too (most people bring their own). A great opportunity for showcasing local talent and upcoming artists, it’s a very cool, soulful environment. They get a mixture of performers; mainly acoustic with a few using backing tracks. How do Open Mic Nights Work? Thatchers is a no-frills High Street Pub, providing good beer and live music, which is separated into three distinct drinking areas. Their Open Mic is hosted by Chris, one of the nicest and most helpful landlords around, who provide a PA, a couple of house guitars and a Cajon as a rule. He also has a bass and an amp available on request. He’s happy to accommodate all performers and has also on occasion provided a full drum set up (again on request). They get a real mix of genres and abilities. From folk to rock, sax players, trombone players, even the occasional poet. The Jolly Sailor is an independently run, family pub situated along the scenic Southsea seafront. 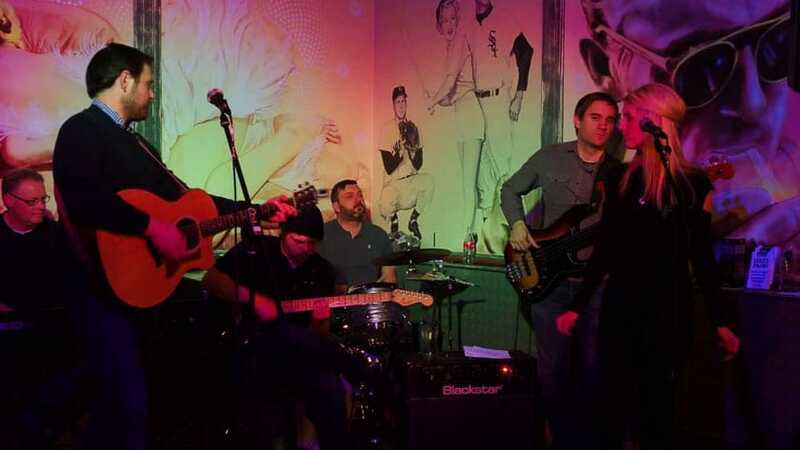 Their month Open Mic Night is hosted by Warren Bailey and gives local talent the opportunity to shine on the TJS stage. Solo acts, bands and comedians are all welcome on the night. First prize is a paid gig at the pub, with on-the-spot prizes throughout the evening. The audience will be your judge, so bring your A-game. Equipment is provided, just plug in and play! Minimum age is 14 years for performers. 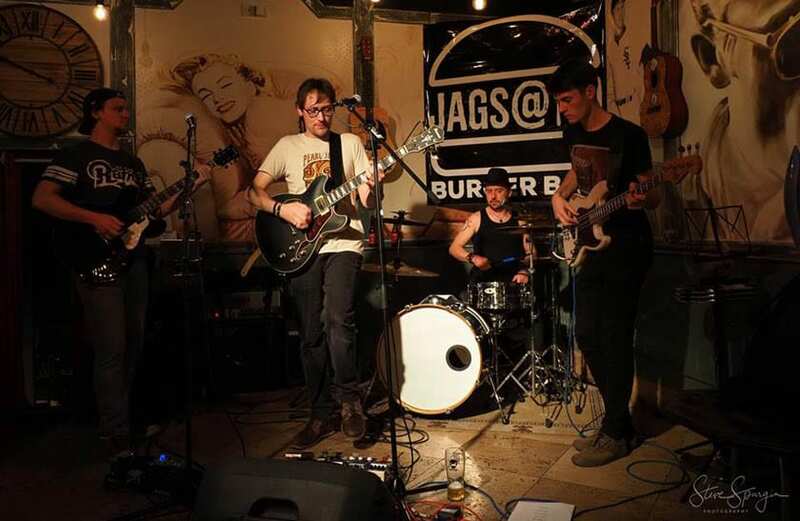 Half music venue and half burger bar, Jags at 119 offers live music every Thursday and Sunday. You can grab a bite to eat or just go in for a drink and listen to the music. The venue is family friendly and admission is free. Thursdays are hosted by Nick Courtney, with the Sunday acoustic night hosted by Alex McGillivray. Bands, acoustic performers and singers are all welcome to apply to play for any of the nights on offer. They also broadcast the night live on Facebook where it’s watched by thousands of people every week. The sound is recorded straight from the mixing desk, which means performers receive a great live video that they can download and use for their own promo. Alternative music, rock and metal unfortunately do not work at this venue. Ever considered hosting your own open mic night? Hosted by Trash Arts, Open Ya Mouth has been running since 2015. It started at The Fat Fox and is now at The Loft above The Kings, (although the venue will change in the new year). They typically get poetry, comedy, music, rap but really it’s a free creative environment for new artists to express themselves. It’s a chilled night, but it does get fairly busy and has become a well-known community-based event. The Pelham Arms is a community pub just off North End high street in the city. 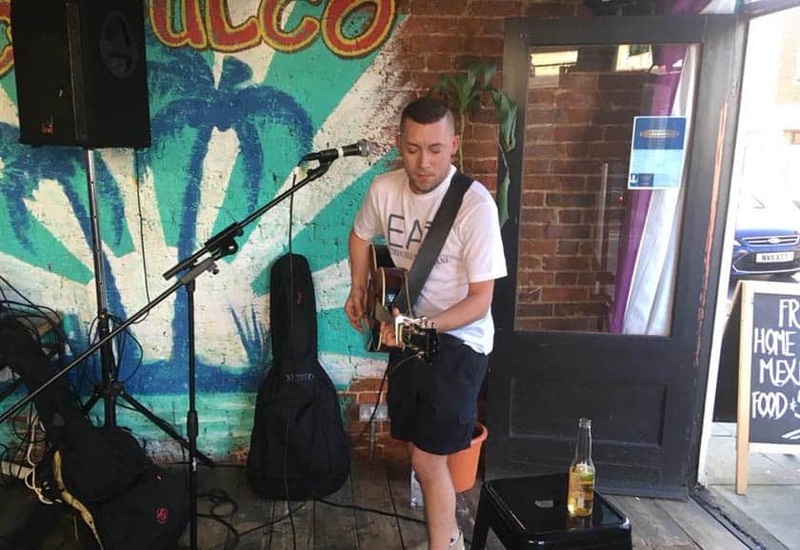 Started and hosted by brothers Nathan and Ryan Hill from Mojo Dollar, if you love playing or listening to music, and are up for a laugh, then this is the perfect open mic night for you. Featuring both seasoned gigging musicians and newcomers looking for some live playing experience, it’s a great place to see some one-off performances, catch up with other musicians and maybe have a few mid-week drinks. Drums, electric guitar, acoustic guitar, bass, mics and DI’s for other instruments and backing tracks all ready to use. There’s a lively atmosphere that encourages people to play together regardless of ability, age, or even if they’ve met before. A Mexican Bar & Eatery with a relaxed chilled environment, Acapulco sits in the heart of Southsea. Hosted by local artist Jonny Spade, Black Balloon Sessions is performed on the ground floor (they also have a function room for live music events). The night consists of three 30-minute slots available for local acoustic artists to perform, so this is more of a showcase event. Very friendly atmosphere with awesome music. The Groundlings Theatre is a stunning Grade 2 listed building close to Gunwharf Quays, which is home to a varied programme of events throughout the year. Their monthly open mic night is held in the comfortable downstairs cafe room. Relaxed and friendly, “It’s like being in your own front room.” according to the host, Annette Wincott, who’s been running the event for over 10 years. This is a mostly ‘unplugged’ evening, although there’s usually a small battery-operated speaker available. Bring your own acoustic instruments, but the host will be happy to lend you a guitar or handheld percussion instrument if you ask her nicely. Open to poetry, spoken word and music performances, they sometimes have short stories and comedy as well and everyone is welcome to get involved. Perfect for all ages, there’s a £3 fee for adults that covers the venue costs. A fashionable cocktail bar which offers live music, Emporium has been running their open mic night since for about a year. Since then it’s been hosted by lots of different people, including doctors raising money for the NHS, Martin Guitars and several local musicians (this year the venue is looking to run their own at least once a month or every other week). They have a full PA system with backline (including an electronic drum kit) and it all takes place on their stage area. The performances range from solo artists up to full bands and can be anything from original music to poetry. The night tends to get busy, but it’s a nice, relaxed venue. So now you know where to perform in Portsmouth there are no excuses to get out there and get performing!